Another Halloween goes by, and another Hallowreadathon with it! I actually spent the weekend of the readathon down in London with my family visiting the Harry Potter Experience Tour, which I'll put a post up on soon if anyone is interesting. This meant I had a 5+ hour drive on Sunday to read, and a bone-deep need to curl up with a good book. I picked up Goth Girl and the Ghost of a Mouse by Chris Riddell at a little bit past midnight. Mainly because I had the terrible idea of watching The Woman in Black with my family and couldn't sleep, that movie is terrifying and even though it was my third time seeing it, it seemed scarier. Anyway, Goth Girl was on my TBR post and I actually only bought this in Summer at YALC when I met Chris Riddell. It ended up being a great readathon choice because it was a quick, easy read and the illustrations were just beautiful. I probably spent more time looking at them then I did reading. I read this during day 1 then went to bed for a fresh start on day 2. Then it was time for my 'Monster book', and I chose Frankenstein by Mary Shelley, another from my TBR. It actually was referenced a lot in the Goth Girl book as well which pushed me towards it, because it's about time I read it! I didn't get that far into it though, and I'm still reading it because I don't think you can rush classics. 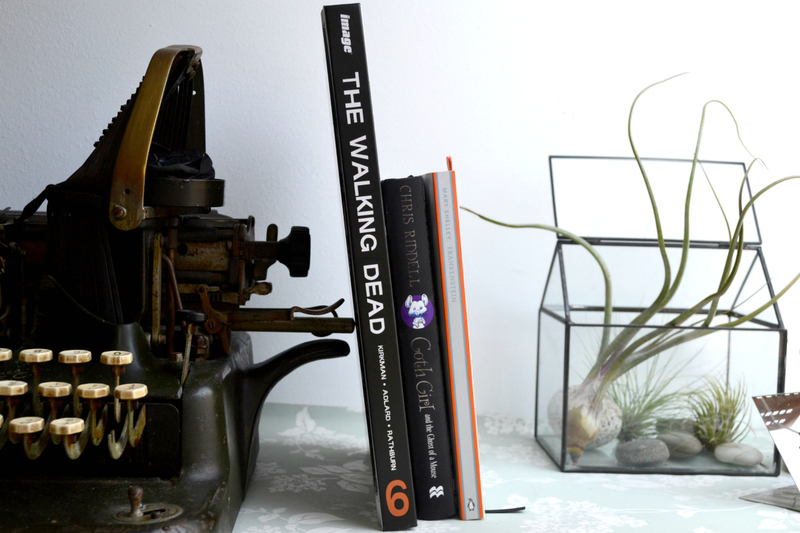 However, once I knew that I wanted to draw out Frankenstein, I picked up the sixth hardcover of The Walking Dead. It has monsters galore! This, I finished just a little past midnight after one of those naps that you think will be quick but end up being three hours, so I'm counting it. And blaming it for all of my latest zombie nightmares. A readthon success! Kind of? I'm counting it. How did you do in the Hallowreadathon? Have you read any of these books? My Autumn TBR: End of the Season! My Winter TBR: Pre-Christmas Edition! Three Years of Imogen's Typewriter. 5 Things I Want to Do Before 2016 Ends! Books I Read in October! NaNoWriMo, No-Chocolate and No-Netflix November.